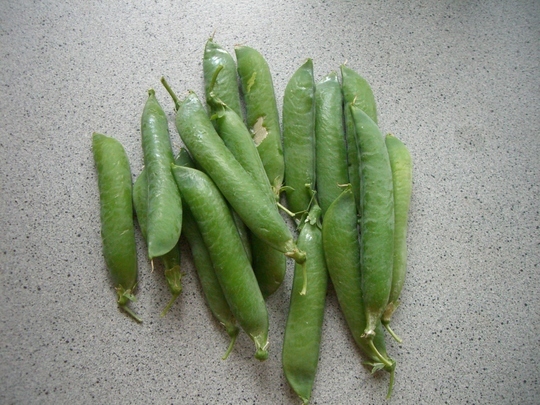 Finally I have had harvest of peas… long at last! 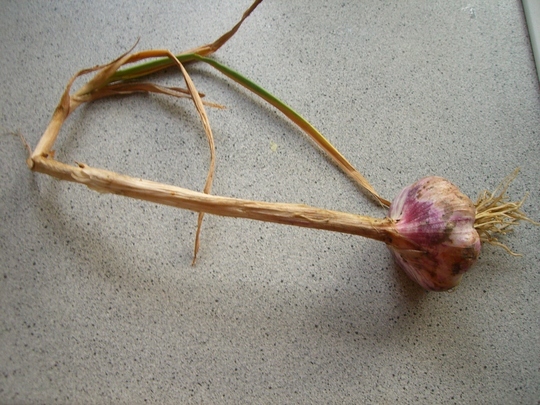 And… exciting one is.. we tried the first time to grow garlic… and couldn’t believe how easy it was… and it is ready! 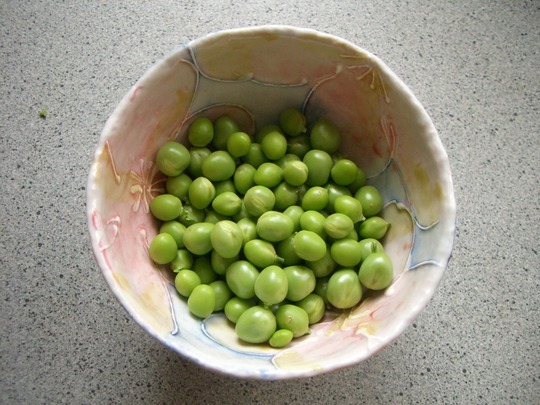 well, not dried yet, though… just came out from the soil! Next post: I have done it! They look fantastic! Lovely with some new potatoes and butter...yum!! Well done! If your garlic is all ready to harvest, you could try to plait them all together! I used to do it for my Mum...sometimes it worked, and sometimes it didn't! Give it a go! It's fun!